Yesterday when trying to plan my diary I had a mini panic attack realising how close Christmas was! I completely didn’t realise it’s now only two weeks away and I’ve been feeling totally unprepared! There always seems to be so much to do! Meeting up with people, parties, dinners, shopping, baking, wrapping.. its never ending! Luckily the Christmas home decor is my favourite part and I had a helping hand this year from the lovely people at Dunelm. 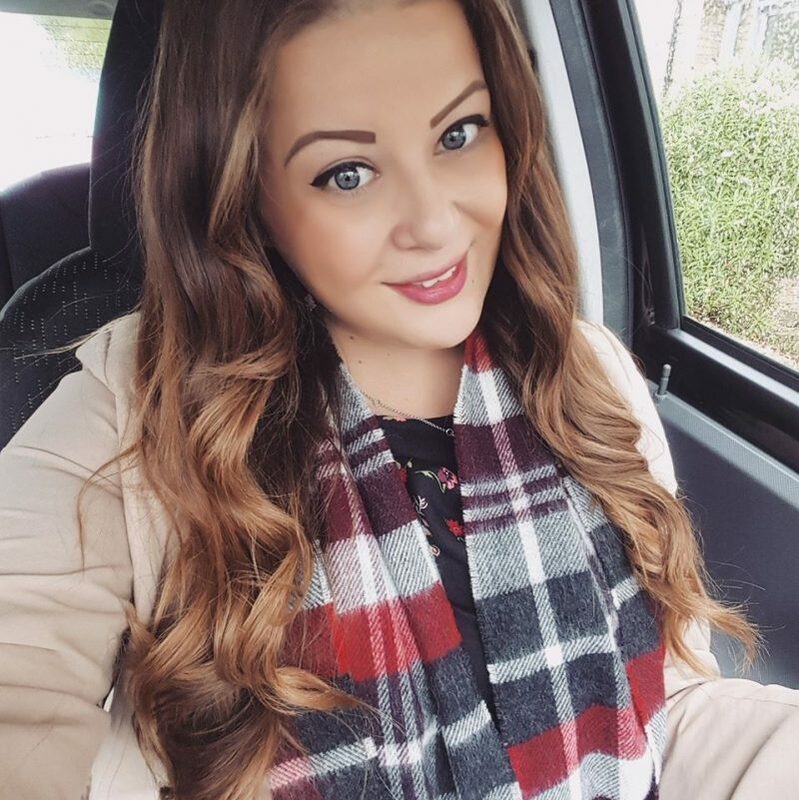 Dunelm is one of my favourite stores for homewares and they have so many gorgeous things over the festive season! I was treated to some lovely new bits to get our house into the Christmassy spirit and I picked some really amazing things. This is my favourite Christmas thing this year! To be honest most of my Christmas decorations this year are reindeer or stag themed, and this is the best thing ever! 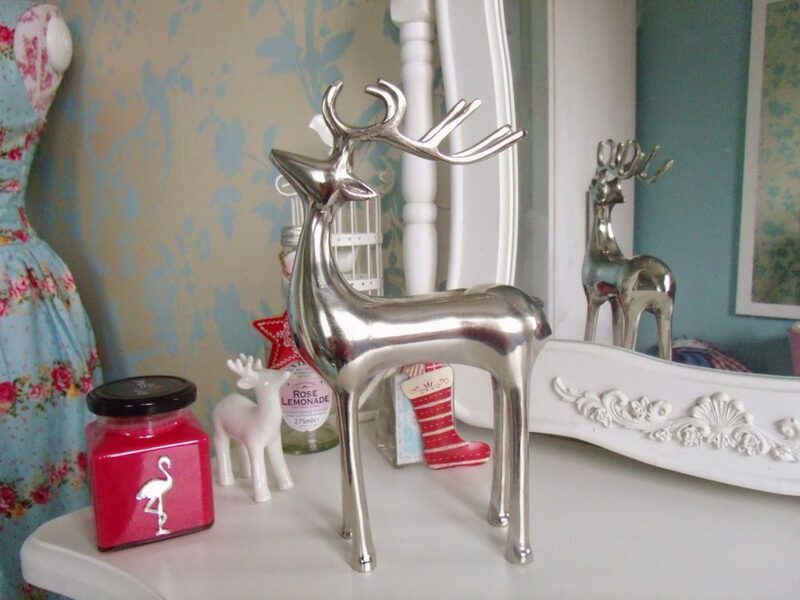 This sleek silver stag ornament was £14.99 and they also do a large version for £29.99 which is huge. This one’s pretty big! I would quite like to have two facing each other but I just picked up the one. Isn’t it lovely? In keeping with the stag theme I also got these adorable little tealight lanterns. They had red and white in stock so I picked one of each, and they look so beautiful lit up as they reflect the pretty pattern on the walls. They were only £2.99 and I want to keep them out all year round! I also bought some lovely mulberry scented tealights to go with them which are just perfect. 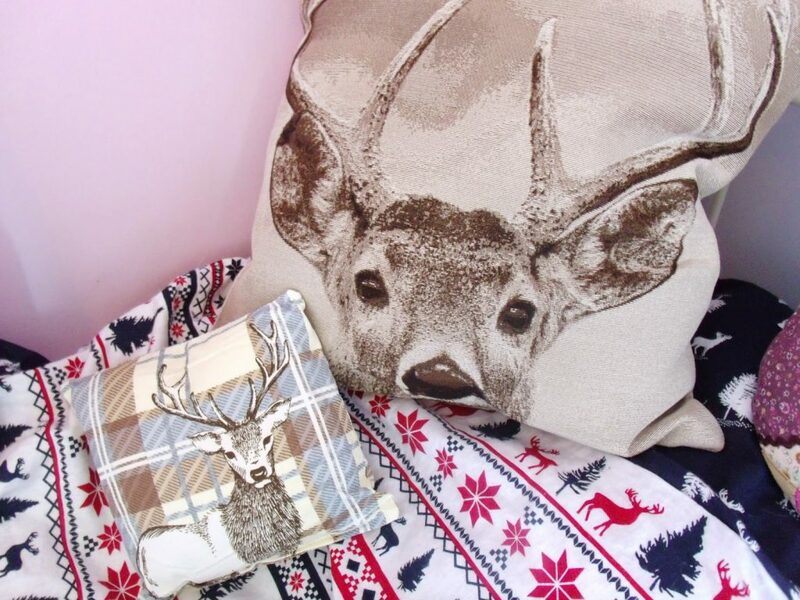 To go with my lovely new bedding from Primark for winter I also picked up these two cute stag print cushions. 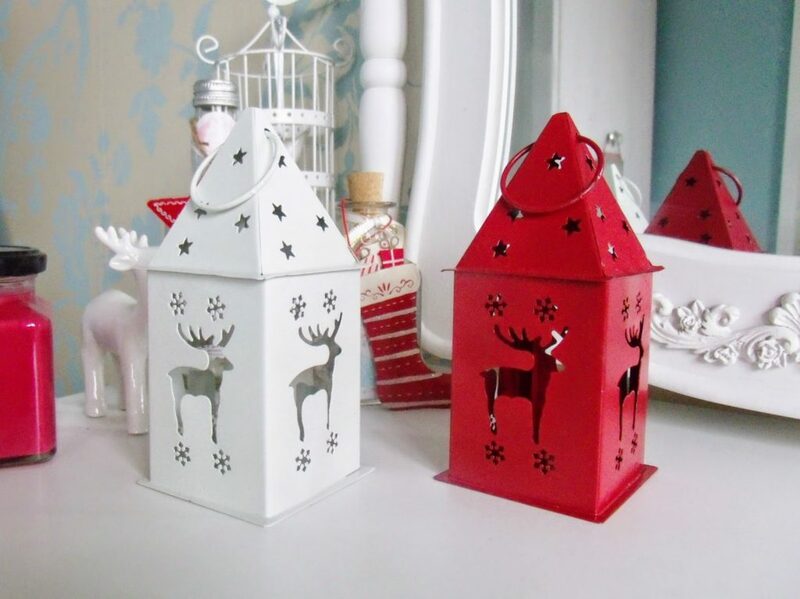 I’ll be doing another blog post as soon as possible of my whole Christmas home decor, but I just wanted to show you these two from Dunelm first. The smaller cushion is mini sized but it was only £1.99. The larger tapestry cushion is so comfortable and was £9.99, I love his little doe eyes! They’re perfect for finishing off my festive bedding. 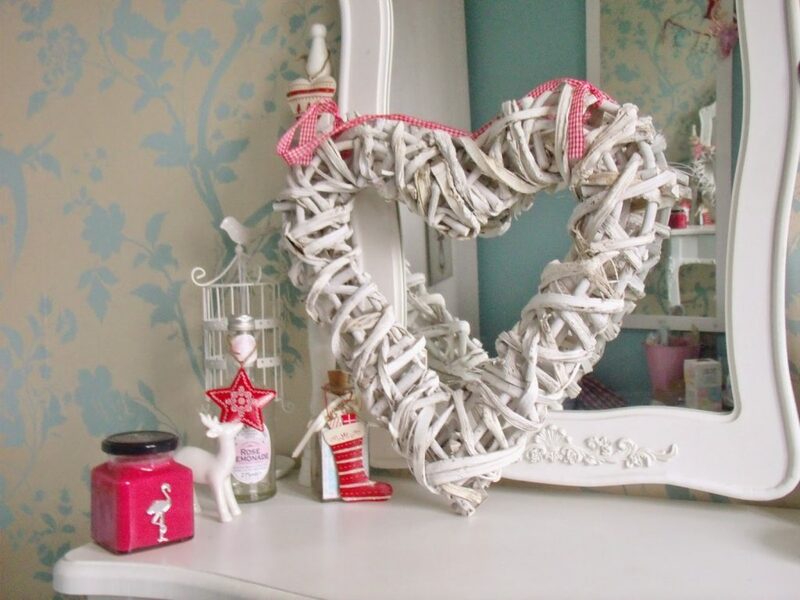 I also bought this big white wicker heart to use as a door wreath for Christmas. It didn’t start off very Christmassy, but I decided to customize it a bit! 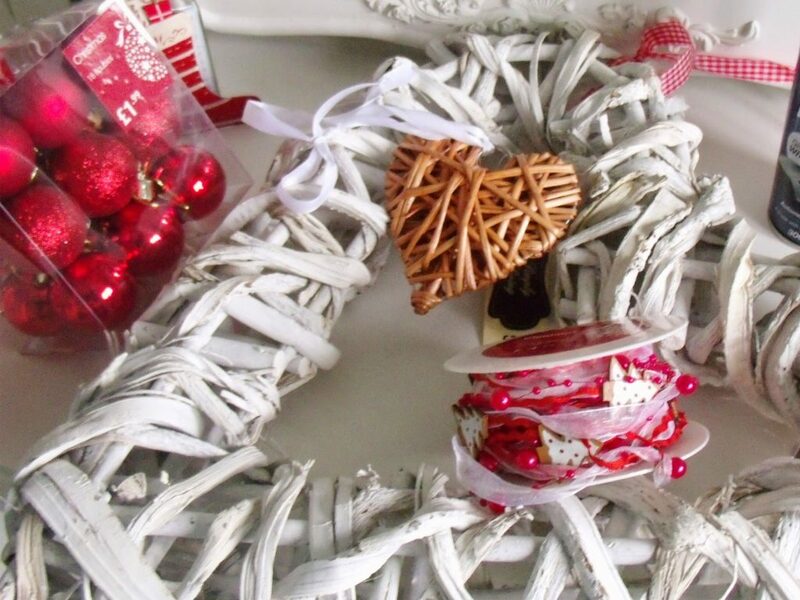 I bought this cute Christmas mini woodland garland to use to wrap around the wreath. 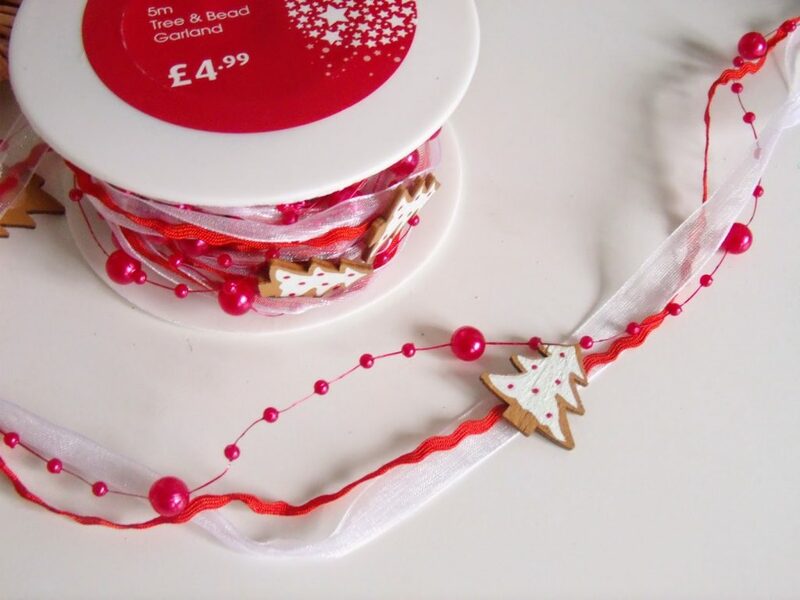 I love the dainty little wooden painted Christmas trees and red beads! 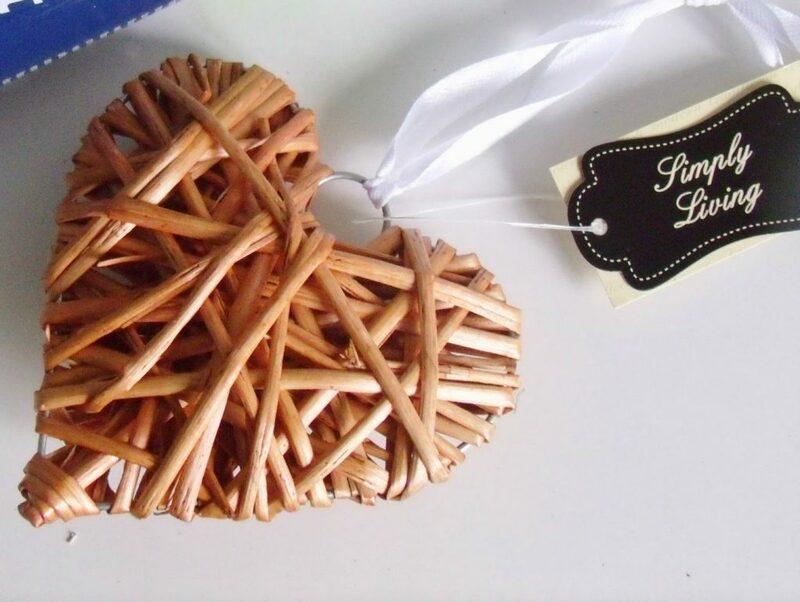 I also used a natural colour mini wicker heart on the wreath, which I hung from the centre. And voila! I finished it off with some slightly garish red shiny baubles and this is my Christmas door wreath! Although I might remove the baubles…. Ahh I just love the stag bedding and cushions!! Lanterns are always a winner too 🙂 You've picked up some great items! I always end up spending so much in Dunelm! 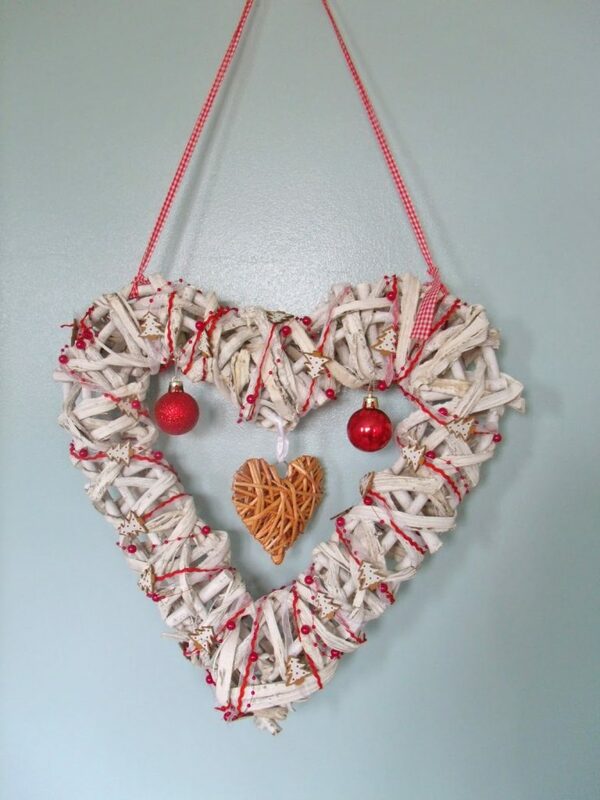 WOW, so many adornment full of the holiday feeling. Adorable! You always have such fab taste! The wreath you made i just gorgeous!